Marguerite Annie Johnson Angelou (April 4, 1928 to May 28, 2014), known as Maya Angelou, was an American author, actress, screenwriter, dancer, poet and civil rights activist best known for her 1969 memoir, I Know Why the Caged Bird Sings, which made literary history as the first nonfiction best-seller by an African-American woman. Angelou received several honors throughout her career, including two NAACP Image Awards in the outstanding literary work (nonfiction) category, in 2005 and 2009. Angelou published several collections of poetry, but her most famous was 1971’s collection Just Give Me a Cool Drink of Water ‘Fore I Die, which was nominated for the Pulitzer Prize. ‘On the Pulse of Morning’ One of her most famous works, Angelou wrote this poem especially for and recited at President Bill Clinton’s inaugural ceremony in January 1993. Mia Biehler showed TEAMWORK when she continued to make bracelets for our TEGS buddy-service event after it was over! Angel Brown showed KINDNESS when she helped a middle school student with a difficult math problem. The Drowsy Chaperone opens next week! This 2006 hit musical and winner of multiple Tony awards begins in the apartment of “Man In Chair,” a reclusive musical theater fanatic eager to play us a record of his favorite 1920s musical The Drowsy Chaperone. As he plays the record and offers his own wry commentary, the wacky musical comes to life before our eyes in spectacular fashion, serving up an irresistible concoction of sparkling old-school charm and contemporary snark. Any rising 10-12the graders interested in YEARBOOK class for next year, please come to an interest meeting in Foundation Hall during break (11:45-12:00) on Friday, Feb 8th to learn more!! See Dean Zelaya if you are interested and cannot make the meeting. 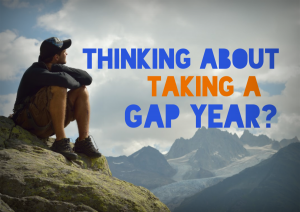 All Upper School Students are invited to attend the GAP Year Fair on February 10th from 1-4 p.m. at Providence Day School. Please contact Lisa Blattner, Director of Enrichment Programs, with any questions.